Illinois is not precisely dead-center on a map of the United States, but it certainly forms part of what we Americans typically refer to as the Nation’s “Heartland.” Bordered by Indiana, Kentucky, Missouri, Iowa and Wisconsin, Illinois – quite literally these days – forms a bastion of progressive ideals amidst a sea of conservatism. So, do all progressive roads lead to Illinois? For example, if you have been following at all the political debacle taking place in Wisconsin, then you probably know that Wisconsin’s 14 Democratic state lawmakers recently fled to Illinois in protest over Wisconsin’s governor, Scott Walker’s, attempt to end the collective bargaining rights of public employees in that state. The exodus by these lawmakers has effectively shut down Walker’s efforts by denying the Wisconsin Legislature a quorum, a move that is being hailed by progressives across the country. Did you also happen to know that a similar exodus took place involving Indiana state lawmakers? In late February, as events in Wisconsin unfolded, a similar fight was brewing in the Hoosier State. There, over three dozen of Indiana’s Democratic lawmakers took to the broad, well-kept interstates that lead one into the Land of Lincoln. As a New York Times article put it, “Illinois [has] suddenly found itself as the refuge of choice for outnumbered Democrats fleeing their states to block the passage of such bills.” In truth, Illinois has a long and proud tradition of progressive politics. Though it is the birthplace of Ronald Reagan, Illinois is also the state from which President Obama catapulted to national attention as a U.S. Senator. 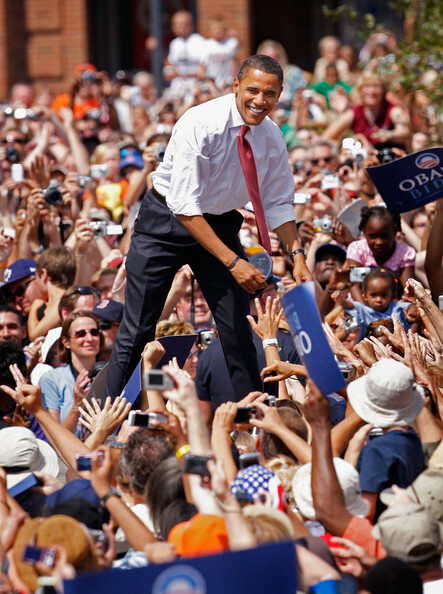 Prior to Obama, Illinois was well-known as the home state of liberal U.S. Senator Paul Simon, pictured to the right. Simon unsuccessfully sought the Democratic nomination for President in 1988. On a personal note, this writer is proud to say that I was an Intern Staff Assistant for Senator Simon in 1988. Even now, I continue to revere Simon for his profound honesty, sense of purpose and overwhelming decency. Simon was the kind of leader who believed it was wrong – morally and politically – for an elderly person, who had lived and worked all their life, to not be able to afford medical care. He told you his beliefs, and he voted his beliefs. Of course, Illinois also produced President Abraham Lincoln. While Lincoln may have been a “Republican,” we should get real about his political leanings, people. Lincoln would not be caught in the same room as some of these modern-day, neo-fascists. Lincoln lived by a motto that included, “With malice towards none, with charity for all.” Those are not the words of modern-day Republicans that hand out enormous financial breaks to the wealthiest, while fomenting discord to advance their regressive policies. This writer is proud also to remark that my home state is continuing its progressive tradition. Today, Illinois’ Democratic governor, Pat Quinn, outlawed the death penalty. In a surprising show of bi-partisanship, Illinois’ death penalty was first called into serious question over a decade ago by former Republican Governor George Ryan. Ryan declared a moratorium on executions after 13 condemned inmates were cleared of the charges that led to their imprisonment on Illinois’ death row. Quinn’s order takes effect on July 1. However, the governor’s order immediately clears death row, so no executions can take place in Illinois. This entry was posted in civil rights, Criminal Law & Procedure and tagged abolish death penalty, Abraham Lincoln, Barack Obama, death penalty, George Ryan, Illinois, Pat Quinn, President Obama, u.s. senator paul simon. Bookmark the permalink.